The reprogramming of adult somatic cells into an embryonic stem cell (ESC) state by various means has opened a new chapter in basic and applied life science. While this technology will create great opportunities for regenerative medicine, the more immediate impact is likely to be found in human disease modeling and drug testing/development. An important aspect in the latter contexts is the ability to reliably monitor the pluripotent stem cell state, in particular with respect to human cell reprogramming using patient-specific somatic cells and high-throughput screens. Undifferentiated transcription factor 1 (UTF1) belongs to the core transcriptional network characterizing pluripotency. UTF1 is involved in ESC-specific chromatin organization, and its expression pattern during cell reprogramming and subsequent differentiation appears to be tightly connected with the pluripotent stem cell state. Here, we capitalized on these features and generated a reliable reporter system that was used to monitor induced pluripotent stem cell (iPSC) formation and subsequent differentiation. Our reporter cassette comprises less than 2.3 kb and remains functional during many cell passages after genomic integration. The fact that the human UTF1 genetic control elements work in a mouse background and the demonstrated functionality of the reporter in an epigenetic state further qualifies this system as a versatile new tool for iPSC research. The online version of this article (doi: 10.1007/s12015-011-9342-7) contains supplementary material, which is available to authorized users. Special thanks go to Drs. K. Karjalainen and K. Pfannkuche for retroviral 4F expression vectors and a modified cardiomyocyte differentiation protocol, respectively. We also thank Dr. L.-F. Zhang for the provision of mESCs. This work was funded by the National Medical Research Council, Singapore (NMRC1114/2007), and SINGA (A*STAR) and NTU graduate scholarships. A.M.: collection of data, conception and design, analysis and interpretation, manuscript writing; M.S.N. : cell culture; manuscript writing; P.D. : conception, design, analysis and interpretation, manuscript writing. Fuegemann, C. J., Samraj, A. K., Walsh, S., Fleischmann, B. K., Jovinge, S., & Breitbach, M. (2010). Differentiation of mouse embryonic stem cells into cardiomyocytes via the hanging-drop and mass culture methods. 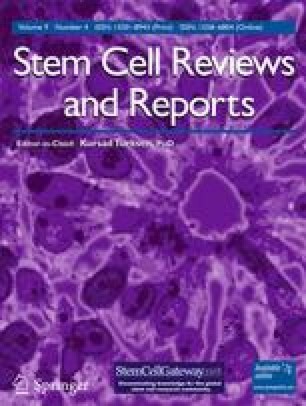 Current Protocols in Stem Cell Biology. doi: 10.1002/9780470151808.